The pilot, flying a rented Cessna 172N Skyhawk plane in thick fog, ran out of fuel and became disoriented shortly after 10 p.m., officials said. 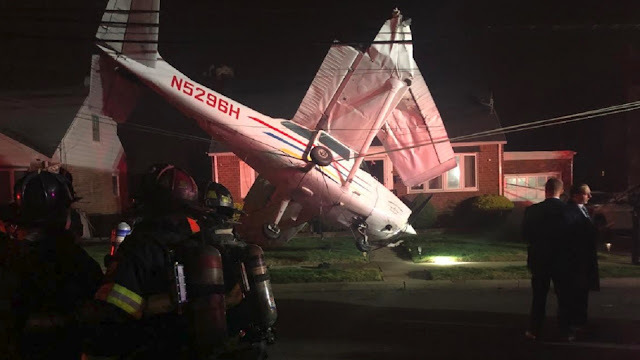 The Cessna 172N Skyhawk made four attempts to land at Republic but the pilot became disoriented and missed each time due to dense fog, Valley Stream Fire Chief Jason Croak said. The plane was then redirected to Kennedy Airport but the pilot became disoriented again and the aircraft eventually ran out of fuel, officials said. The plane clipped the roof of Revival Outreach Ministries on Hillside Avenue. It then glided into the wires above the front yard of a home a block away and ended up suspended a few feet above the home’s front yard. 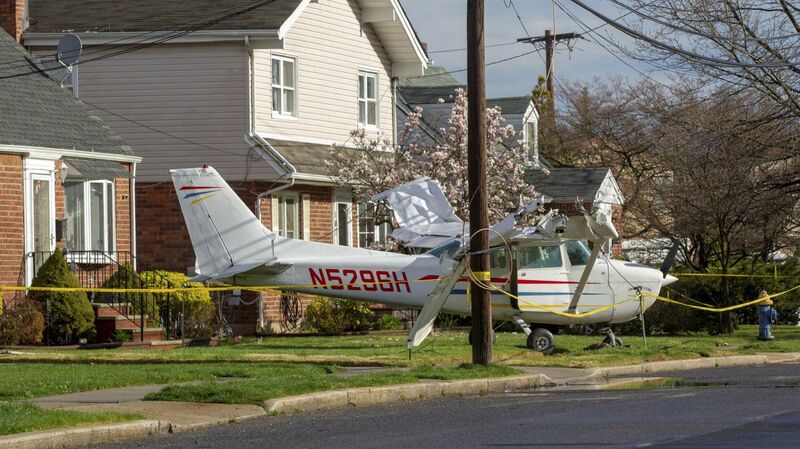 The Cessna 172N Skyhawk clipped the roof of Hillside Avenue's Revival Outreach Ministries and glided into power lines above the front yard of the home a block away on Clarendon Drive, officials said. FAA records show that Kim has had a commercial pilot's license since 2013 and that the Cessna 172N Skyhawk, manufactured in 1977, had an up-to-date airworthiness certificate. The pilot was multiengine rated and an ATP type rated in the 737. Any instrument pilot should know better than to fly in such weather. Six missed approaches, including two attempts at JFK -- and not even surveillance approaches -- followed by fuel exhaustion. Did he declare a fuel emergency? Did he ask JFK for a surveillance approach? It looks as though he missed the JFK approaches by a lot. What type of pilot does such things? For instructional purposes, it would be interesting to see the actual flight plan as entered, with alternates, as well as the actual weather briefing and en-route weather updates as well as the terminal weather during the terminal communications- perhaps even a request for a suitable immediate alternate with "approachable" weather. Then on to what was suggested by ATC when the weather at FRG was checked ..... all of this would make for a very interesting and sobering instrument ground school. I guess it's better to be "lucky" than "good". On a brighter side, Mesa is hiring. Looking at the ground track on flightaware and listening to the pilots radio phraseology on youtube, it's really hard to believe he's instrument rated. I'm glad they all walked away. It would be a very good training aid if the pilot agreed to be interviewed by the air safety foundation.